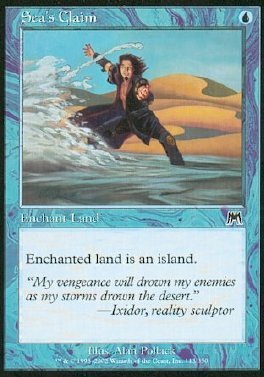 Enchant land (Target a land as you play this. This card comes into play attached to that land.) Enchanted land is an Island.